There’s a secret spot in Ireland. And the locals don’t want you to know it exits. 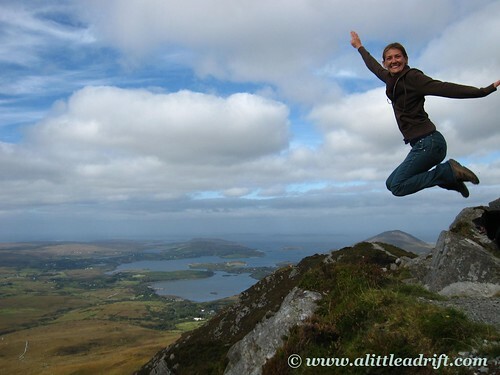 I found it by chance – though I recommend renting a car in Ireland that means a good deal of alone-time for solo travelers. Time spent following the directions of lonely brown heritage signs, standing as sentinels of history on the side of the road. In you go, into the overgrown grassy fields filled with sheep and in the search of elusive ruins. Sometimes it’s just a rock in the ground. Old to be sure, but really, let’s be honest, it’s a rock at the end of the day. Other times that venture on unnamed road leads to stone circles visible through the low growing purple heather — tumbling stone archways and altars alluding to a distant and pagan past. Finding your way back to the car is an adventure into itself, one low stone fence looking remarkably similar to that last gray fence you just hopped ten minutes before. But you continue hopping fences until the sound of the nearby ocean draws your ear. Though you’re certain the car lies east of where you’re standing the lapping of nearby waves and the bark of a dog leads you inexplicably closer. 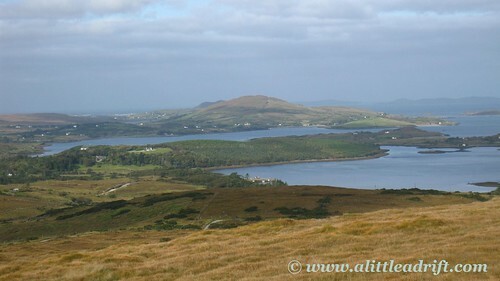 The Irish are world-renown for being a friendly lot and yet you hesitate as you crest the hill and see a fisherman storing his gear, the dog good-naturedly circling his feet. The camera comes out. The scene is so in line with the postcard Ireland you remember seeing pinned to the wall growing up. 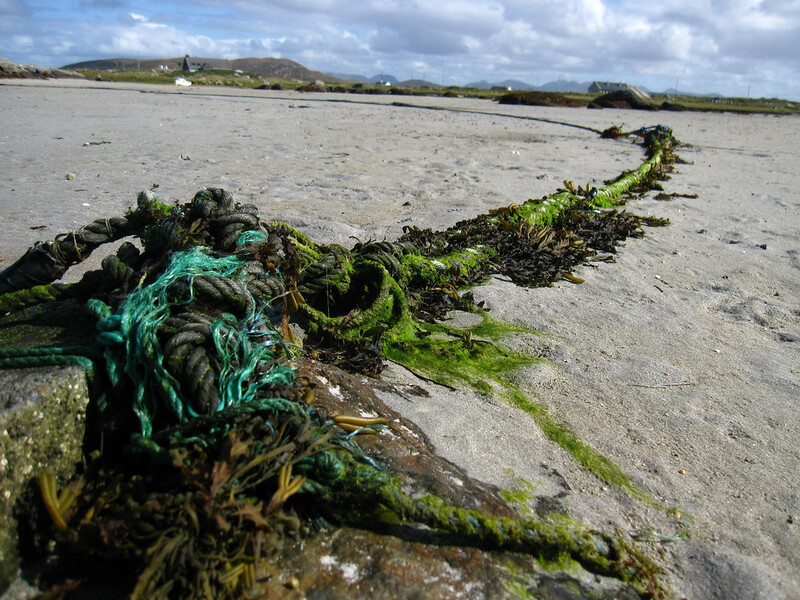 The weathered lines etched on the fisherman’s face, strong hands and a heavy jacket to block the buffeting wind all accented with the only two colors that truly exist in Ireland — the green of the grass and moody blue of the ocean. Walking closer you drop the camera until you’re close enough to simply watch and listen. The water laps at his boat. The thunk of his gear hits the dock. The dog has discovered you sitting so quietly on the hill and although he’s been playing in the water he knows no sense of decorum and bounds toward you –only a slight glitch in his step as his owner bellows out a command. It slows his progress toward you, but only marginally. That dog is about to give you the wettest and hairiest hug you’ve had in weeks. The dog has opened the door to conversation now and as the dog leads you to the fisherman you glance toward the sound of an approaching car, his wife, here to pick him up and transport his catch back into town. The immediate pleasantries unfold. I’m an obvious American and don’t deny it, they’re intrigued as to why such a healthy and pretty young lady such as myself is wandering the cold hills in such a remote area of Ireland. “Single are ya? Well why in the world are ya traveling by yerself, you’ll never meet a man that way?” demands the wife. The sun is sinking lower and my fleece is no longer blocking the cutting wind. With a pitying glance, the woman motions to her car, “get in if ya’d like and we’ll drop you off at your car, I passed it just a wee bit back on the road.” It wasn’t a question, so I squeeze into the backseat and perch myself next to the dog. As we’re parting just minutes later, the man recommends a nearby bed and breakfast and the best local pub with good music. He notes that he just might be around that way later himself, if I was inclined to get a pint this evening. And as their car drives away, swallowed up by the tall grassy bend in the road, you sit back and take stock of your afternoon. So pleasantly normal and with the promise of a pint, some music, and a warm bed the day seems somehow whole. Just perfect. 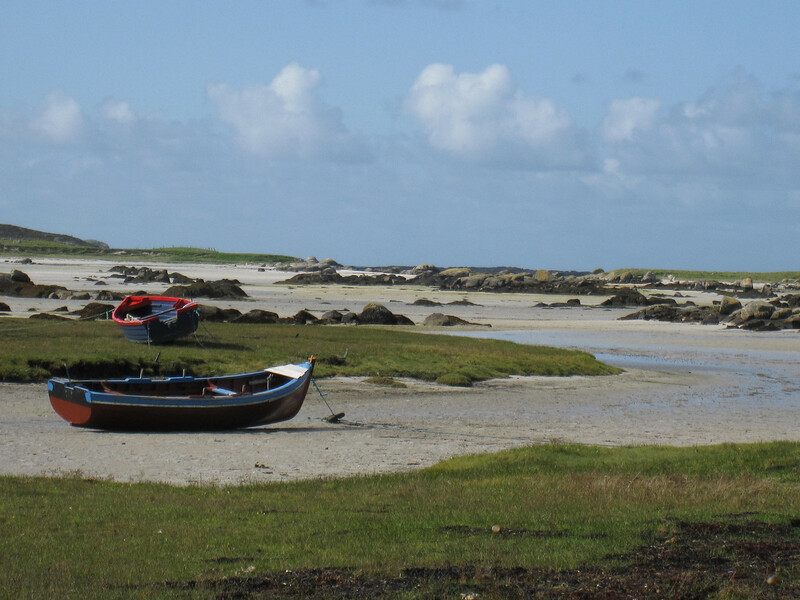 There’s a secret spot in Ireland, and I’m not going to tell you where it is. It could be that tiny speckle of a dot on the map that looks like a mere blip of a town. I’m not going to tell where it is because I know there’re other Irish towns out there just like it. 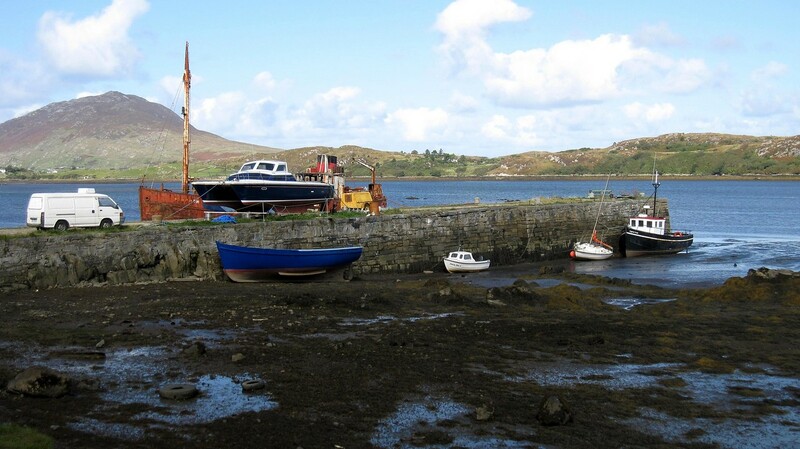 They have a man tying his boat to a dock, a friendly local perched at the pub with his pint of Guinness and fantastical stories about the fairies and leprechauns, gritty reminiscences of the IRA — all laced with joy of simplicity. 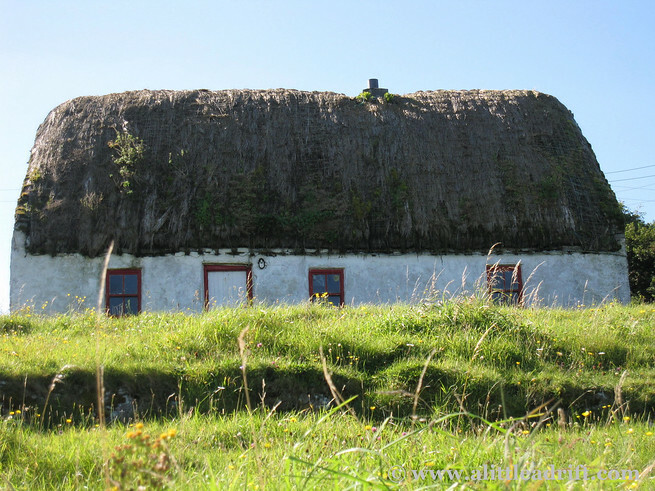 The thatch roofed houses peppering the sea of emerald grass fields seems so oddly reminiscent of another era but yet are actually still found in areas all Ireland. 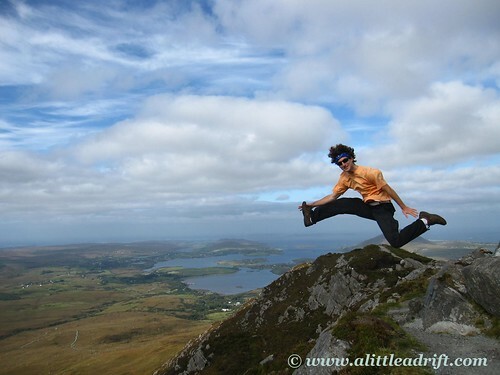 Landing on the Aran Islands off of the west coast of Ireland is like taking a full leap into a small and traditional pocket of intensely Irish culture; Irish is their first language and the traditional Irish céilidh on the weekends counts among the best Irish music jam sessions I have ever heard…although some of it is done for tourists, the small community of locals on the island were still genuinely having a great time as they yanked me onto the dance floor for some rapid swirling turns to the pulsing fiddle music. It takes an eternally long hour hour boat ride across the rough Atlantic waters to visit the Aran Islands but is so worth the trip. 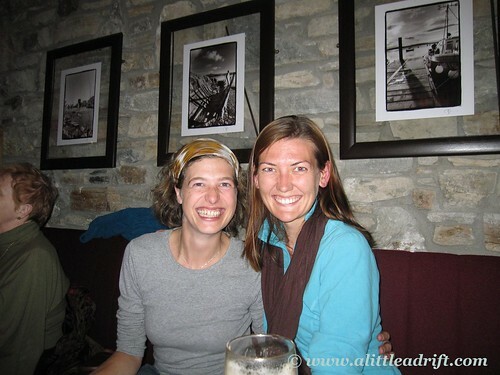 In fact, my traveling friend for those couple of weeks so fully fell in love with Inishmór, the largest island, that she headed home, rented out her house in the US and has now been living on the island for more than five months! 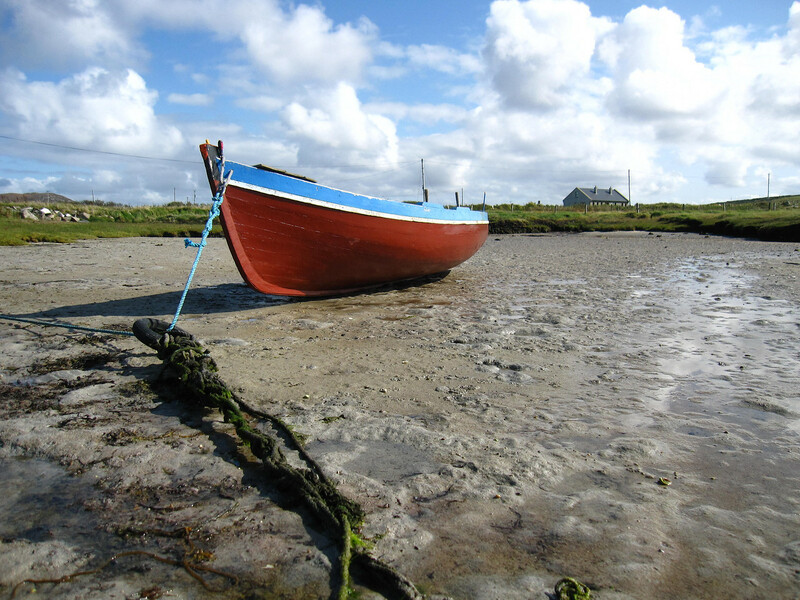 How to get there: Ferries leave from both Doolin (near the Cliffs of Moher) and Galway and take between 40 mintues and an hour. 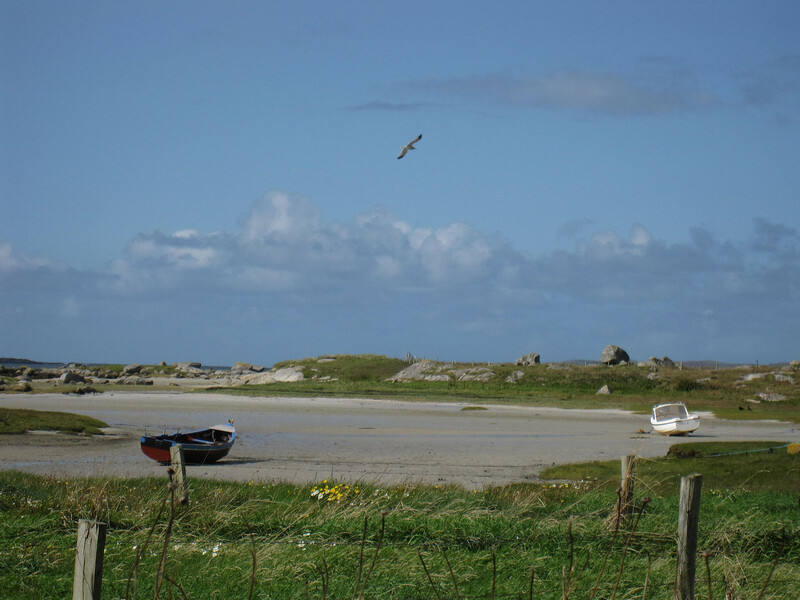 Ample free parking to leave your rental car if leaving from Doolin! 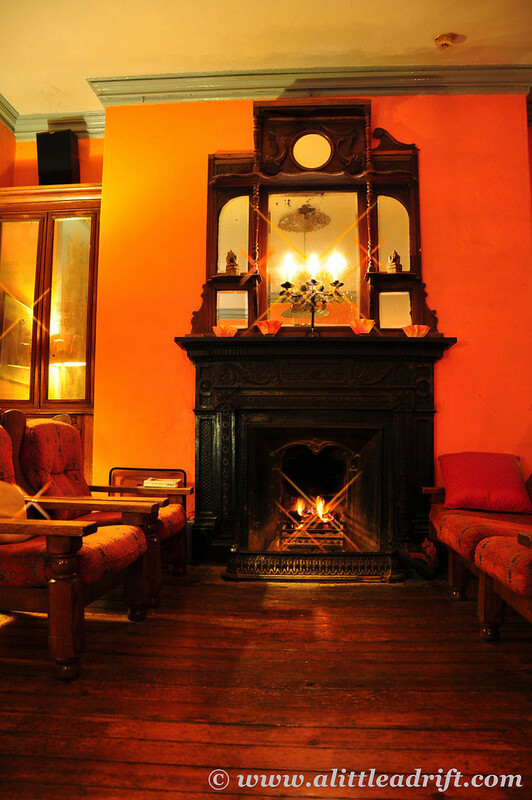 Where to stay: Kilronan Hostel – a mere one minute walk from the dock and central to all of the local pubs and music. 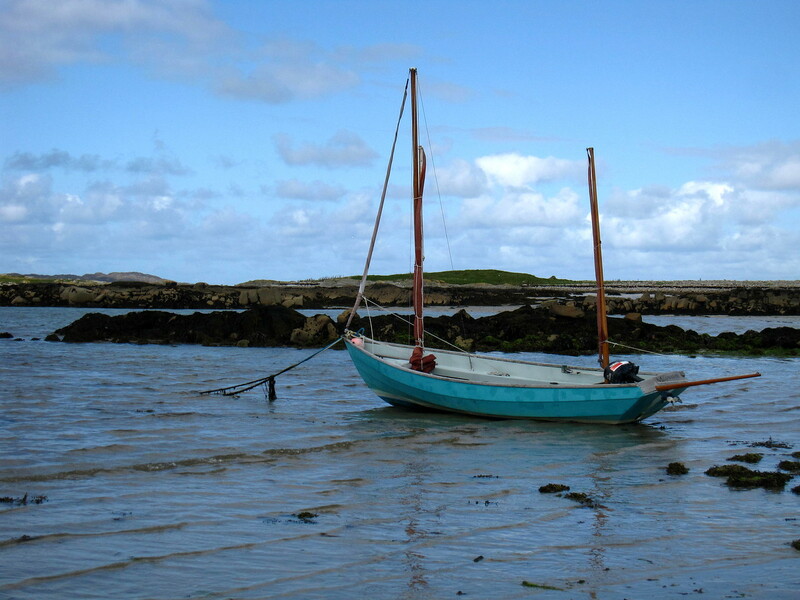 Aran Island Sights: Day tours to see the ancient Dun Aengus Fort and local cemeteries…renting a bike didn’t work out too well for me but can be good fun if you are up for some strenuous exercise on relatively unpaved roads! In an effort to add some regularity here, I’d like to start a weekly post called “A Little Travel Memory.” A photo and mini story from current or past travels…perhaps a neat person I’ve met along the way, or a photo that has a bit of a story but not enough for a full blog post…or perhaps just a random memory. Ireland is one of those countries that I can’t help describing melodramatically; the country just speaks to my soul. 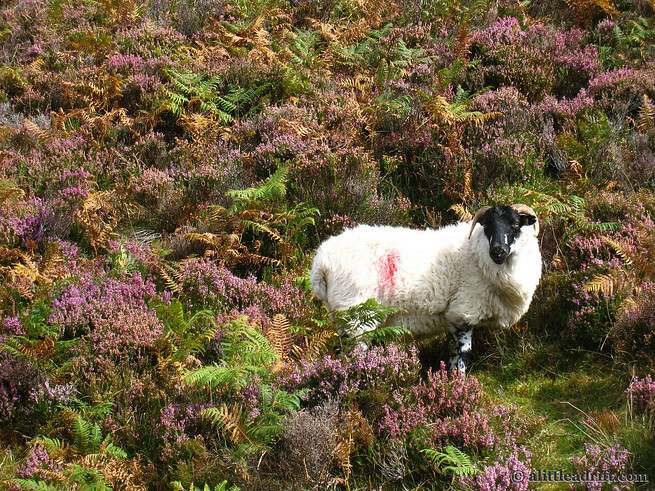 On the Diamond Hill hike in Connemara, Ireland I spotted this sheep among the fully blooming purple heather, which brings to mind the lovely song “Will Ye Go, Lassie, Go” that I used to sing back in high school when I worked at a Renaissance Festival for a couple years … it’s such a calm and pretty song and a beautiful one to have stuck in my head during solitary hikes in Ireland. Sheep are not a novelty to most people, especially the Irish, but I couldn’t help snapping this shot because I grew up in suburbia, far from any farm life and pastures, and it calms me to take in these landscapes so different from the ones I logged in my early years of life. You’ll notice the sun is shining in this shot. In a rare moment of total cooperation the universe gave me two weeks of perfect weather, which is an anomaly for Ireland. Bright sunshine followed the previous week’s heavy rains so the entire countryside blossomed into a riot of purples, yellows, and greens. The Irish had crispy red cheeks from sunburns by the second week of sunshine because it was so out of character for enduring blue skies. It’s the peat. Ireland just has this certain something that makes the country feel incredibly unique; a something that I couldn’t quite identify for the first three weeks I spent in the country. 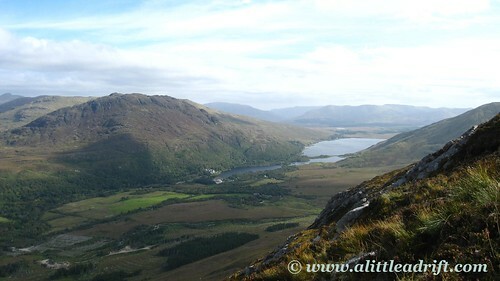 I’ve concluded that if Leprechauns, fairies and the such exist, then surely they all congregate in Ireland’s “Wild West.” From Galway City I drove through hours of brown-speckled hills weakly lit with the few and tiny bits of sunshine able to wrestle from behind gray rain clouds and drove into the heart Connemara. And just for the record, what I just described, that’s everything that I actually kind of hate. I’m a Florida girl, the Sunshine state people! My entire RTW trip was structured to chase warm weather around the world…which means I run screaming from any signs of gloomy weather and the cold makes me cry just a little inside. And yet. Here’s Ireland. The polar opposite “bright and sunshiny.” A rainy, overcast, cold and wet country with thousands of pubs and a charming yet occasionally incomprehensible (to me) brogue. The country inspires me and makes me just want to smile inside. 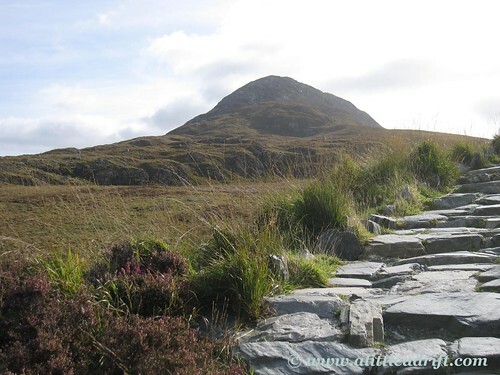 So back to the peat, a central part of my love-affair with Ireland. A quick tangent, in case you’re baffled right now, please, take a moment to educate yourself on peat – in short, it’s simply decayed vegetation matter then compressed and used in fires because it burns incredibly slow. But really, it’s a lot more than that. 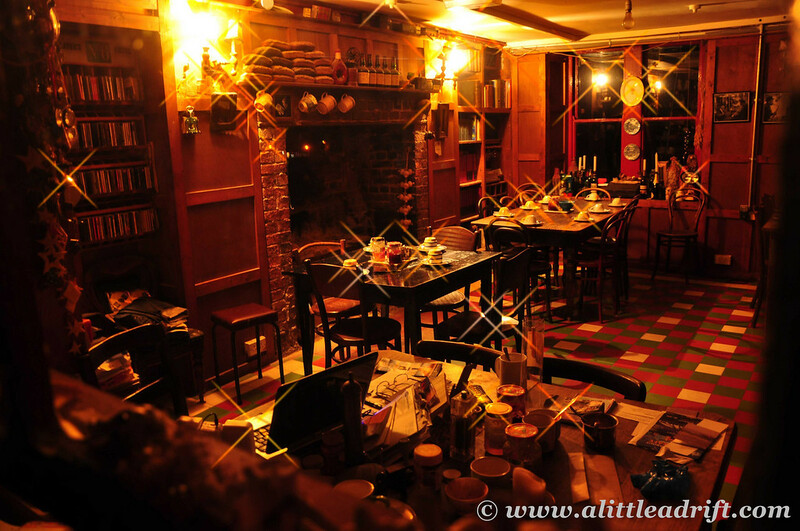 The smell of the peat stung the inside of my nose the first time I inhaled a big whiff of a freshly lit peat fire. 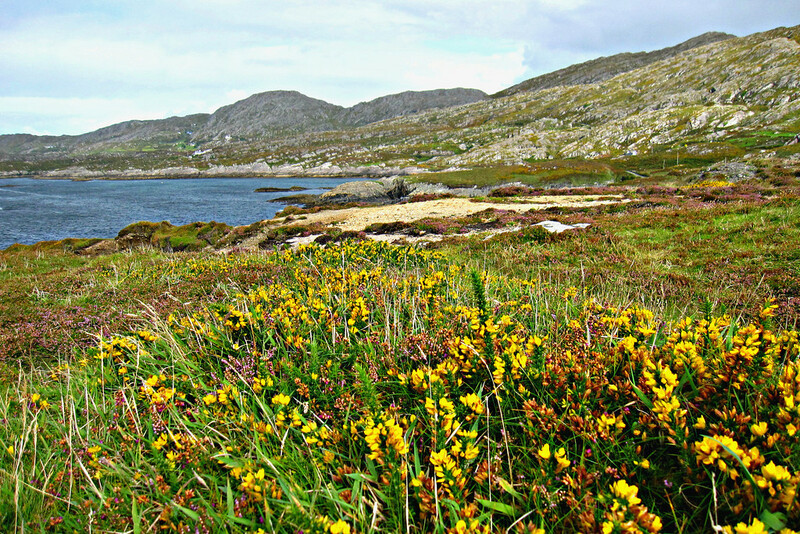 The foreign smell made my eyes instantly water and I sat pondering the sanity of the Irish for even using peat. But then I mellowed back out, watched the peat begin to internally glow a warm orange, relaxed back into my conversation and sank into the evening. And that’s when it hit me. 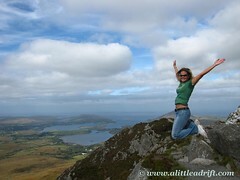 It’s this warmth and relaxed enjoyablity that I so love about Ireland. At one of my last hostels (and I stayed there for a week I enjoyed it so much) all the travelers enjoyed the warm peat fire, the varied accents, and dynamic conversations….all set off with that unique smell of a warm, peaty fire. So when I’m asked the baffling question of why I love Ireland so much and keep going back there when there’s so much of the world to see…you know, perhaps it’s the peat. Affectionately referred to as “Irish mothers’ milk” by some and “the pint that drinks like a meal” by others, Guinness is a cultural right of passage on a visit to Ireland…and as a fiercely Irish yank (although to be clear, I’m not actually a yank…but in Ireland, if you’re American, they call you a yank no matter where in the states you call home) the Guinness Factory Tour was tops on my “must-see” list. Just Dying to Know How they Pull a Pint of Guinness? Now, before you wrinkle your nose and proclaim “I don’t drink Guinness,” I loved the Factory tour for so many more reasons beyond the fact that I enjoy a pint of beer here and there. I’m a big lover of knowledge and geek-out over a learning nuanced (and sometimes useless) information. 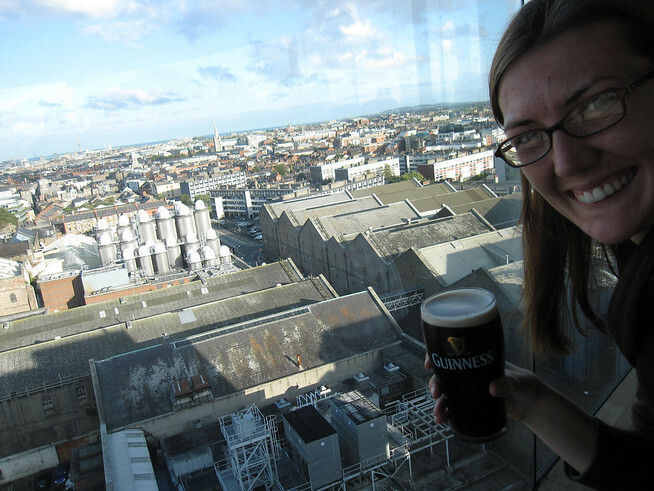 The Guinness Factory tour was well done on every level and newbies to Dublin should wander by for a visit (I was able to easily walk there from the heart of downtown). They have several floors of interactive displays, recorded videos, flowing water, colored lights, and every piece of information you could possibly care to know about how stout is made. I’m actually glad I was solo at this point in the trip because I was able to spend however long I wanted reading the displays and absorbing the information. Whatever you want to learn – they’ll teach you! 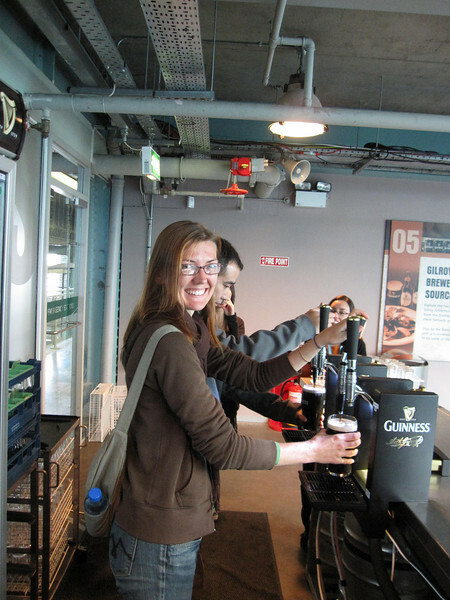 I learned not only how Guinness is made–from water, yeast, hops and barley, but I caught an expert explaining precisely how to pull a perfect pint of Guinness too. 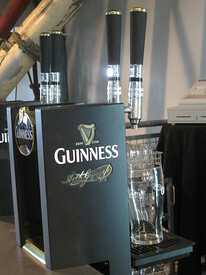 Although my bartending days are long over (and we didn’t serve draft Guinness at my restaurant, so I never learned!) I got the chance to put the lesson into practice and pull my own pint and then drink it! 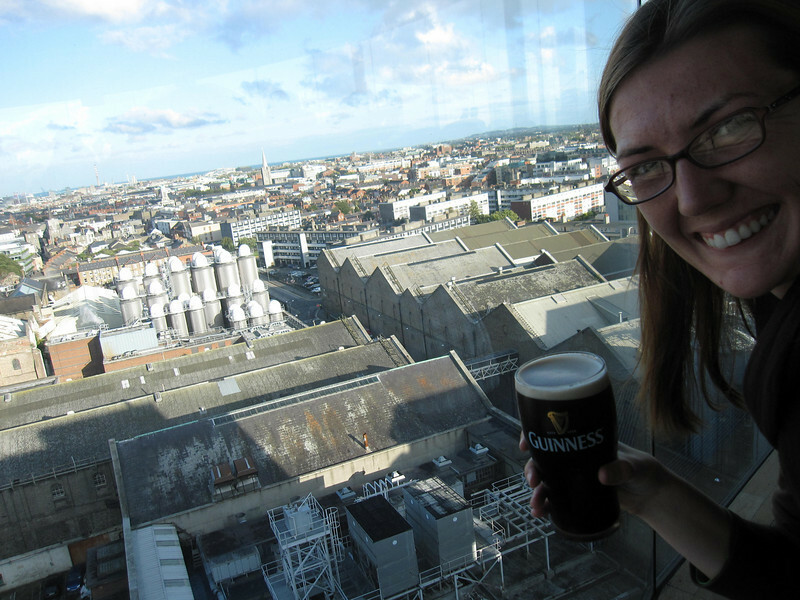 With the factory tour over I hiked the remaining staircase up to the top of the Guinness Factory to catch the sunset and 360 degree views over the city while I sipped my very own pint of complimentary Guinness. The tour is, in two words, fun & educational. 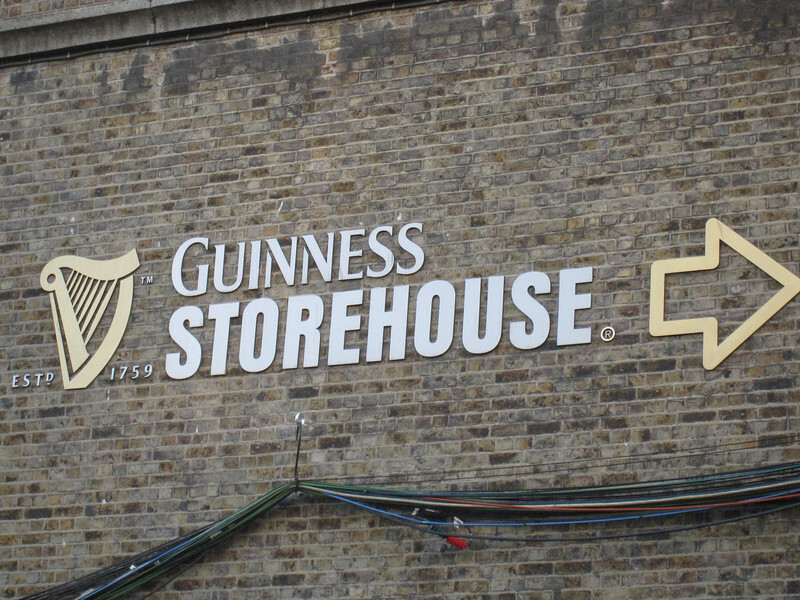 I’ll admit that I do certainly enjoy a pint of the black-stuff (yet another pet name for Guinness) on its own accord, but the history behind the drink was key to making the Factory tour a must-see in my book. My favorite new fact? 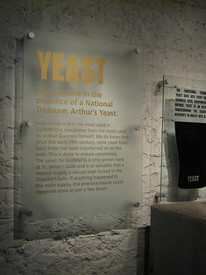 The yeast they use today is rumored as descended from the yeast Arthur Guinness himself used in developing the drink back in 1759. The brew-master keeps a small bit from each batch to use in the next. Tell me, what do you geek out on when you’re traveling? 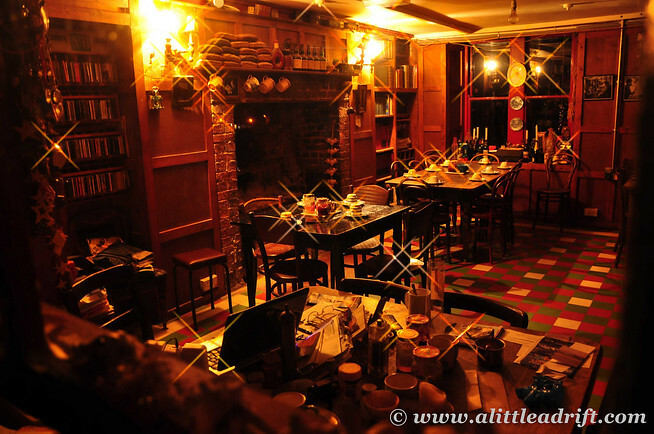 The heart and sole of Ireland lives in the country’s pubs – and I don’t mean because of the Guinness, although let me assure you that plays a role. But it’s the country’s music and warm enthusiasm that keeps the yanks like myself enthralled with Ireland’s rich history and amazing music. 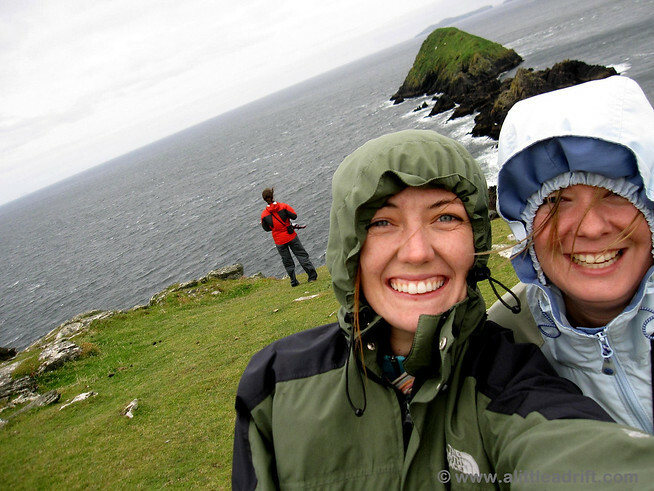 I have to admit, my fondest memories from Ireland include a cold pint of Bulmers Irish cider and the bundled warmth of crowded bodies packed around the live Irish music filling the small space while a friendly local started the evening with an observation about the weather and ended knowing my whole life story. That’s the description of an ideal night in Ireland. Unlike the beginning of the trip, the electronic and trance-filled dance music of nightclubs in Melbourne, Ireland offers an experience completely opposite the “partying” of other backpacker regions. That’s just not what it’s about here. The small town of Doolin, near the Cliffs of Moher, had some of the best Irish music from the trip. But Clifden ran a very close second. 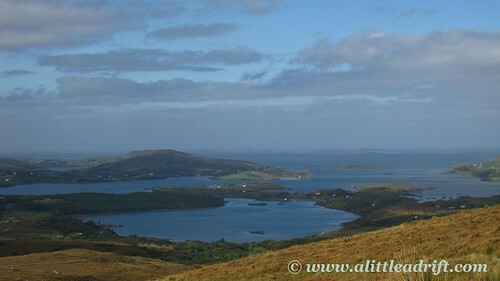 The Clifden Art’s Festival was running for the week I was in Connemara, and that meant live local music in every bar all over town. As the hero of the hostel (wholly because of my rental car, not because I’m actually that cool) we were able to commute the 15 minute drive between the warm and cozy Old Monastery Hostel in Letterfrack and the much more happening town of Clifden (and by “much” let me assure you Clifden is still an incredibly small town). The guy on the fiddle, Fergal Scahill, is an All-Ireland fiddle champion and Eva and I jammed out for the evening listening to these guys get the entire bar riled up, tapping their foot, hootin’ and singin’ along. And because of the Art’s week, Anúna, an Irish choir group that performs internationally sang – this video clip is of an entirely different side of Ireland’s music. 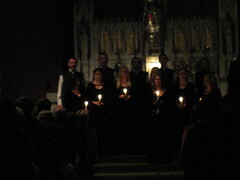 Rather than the rowdy pubs in town, Anúna sang in Clifden’s largest spired church. They were entirely lovely and had some heart breaking melodies – there’s just something about harmony during a capella that puts a little squeeze around my heart when I listen. I just never got tired of the Irish music; that might not be the case for everyone, but I listen to it often in my everyday life, and lounging around in the pubs and bouncing around the floor to a jig is a like little slice of utopia – in fact if it weren’t so blustery and mind-numbingly cold in Ireland I might never have left, that’s how much I loved it there, in the country’s lively little towns. Where have you heard the best local music from around the world? !